The Goulburn Valley experienced a once in a life time opportunity last night being able to hear from iconic political activist and musician Sir Bob Geldof right here in Greater Shepparton. 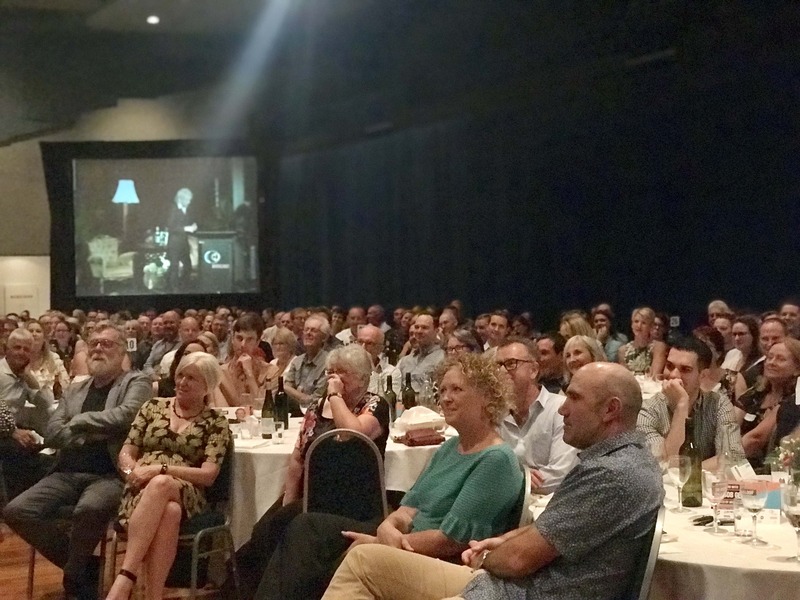 The event hosted by Greater Shepparton City Council in partnership with GV BRaIN, saw close to 700 guests fill Eastbank as Sir Bob discussed his journey leading up to Live Aid and beyond. Upon arrival Sir Bob was greeted with a Welcome to Country and traditional smoking ceremony conducted by Yorta Yorta, and then followed an intimate meet and greet opportunity at the Shepparton Art Museum where ticket holders were able to enjoy one-on-one conversations with Sir Bob prior to his keynote address. Sir Bob took to the stage following an introductory video which captured his inspiration for Live Aid, while detailing its legacy. The audience, hanging off his every word, were taken on a journey of Sir Bob’s life reminiscing about his childhood, travels and early stage days before sharing antidotes of meeting the pope and starting the benefit concert, Live Aid, which raised billions of dollars towards “making poverty history”. Following his key note address, MC for the evening award winning journalist Anjali Rao, facilitated a Q&A session which generated discussions regarding poor and good leadership, consequences of failing to plan for the future and he even announced he has new music coming out in September. Greater Shepparton City Council Mayor Councillor Kim O’Keeffe said it was a riveting night and opened up critical discussions for the community. “Everyone, including myself was in awe of Sir Bob, he was a brilliant speaker who captivated the audience and offered valuable commentary on worldly discussions,” Cr O’Keeffe said. Attendee, Meagan Harrison said the evening was great fun and left her with guiding inspirations. “Sir Bob was an inspirational speaker who reaffirmed to me that being a ‘small drop’ in the ocean of local and global issues is important,” Ms Harrison said. 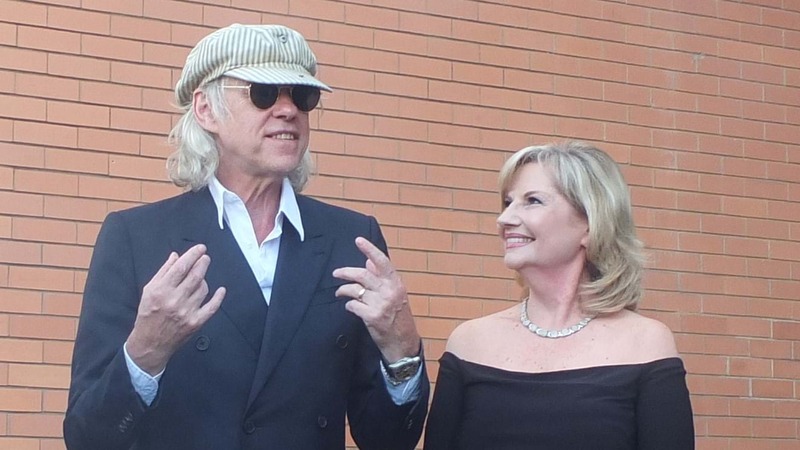 It was the ongoing success of Council’s Shepp Square campaign last year, which highlighted Greater Shepparton as a leading regional city that attracted the opportunity of Sir Bob Geldof’s visit. “It was an incredible opportunity presented to Council which we could not have passed up. Council will continue to lead initiatives to showcase all the great things that happen and are happening in Greater Shepparton,” Cr O’Keeffe said. Chair of GV BRaIN Fiona Johnson said it was a privilege to listen and learn from a man with such worldly experiences. “Sir Bob's constant drive across his life to make the world a better place, no matter what, was inspiring,” Ms Johnson said. “The Goulburn Valley is not alone and can only benefit from his message to use collaboration, cooperation and fierce commitment to address any issues that we face.